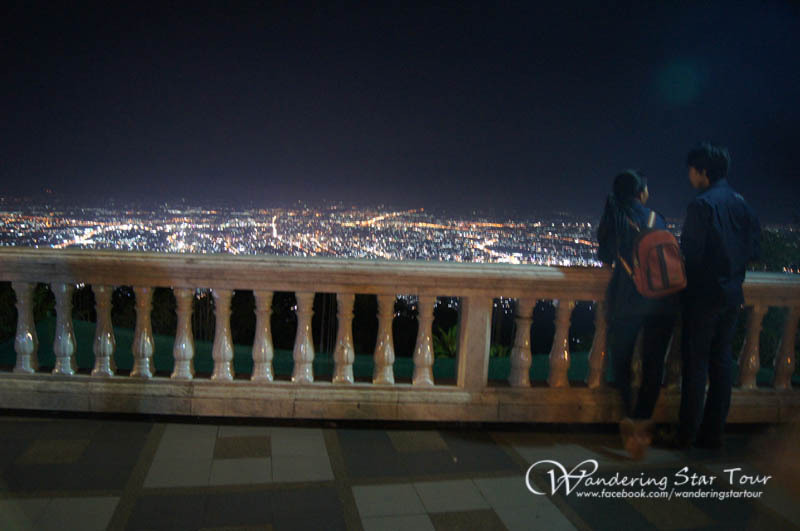 Price : 700-2,400 Time : 16.30-20.00 pm. 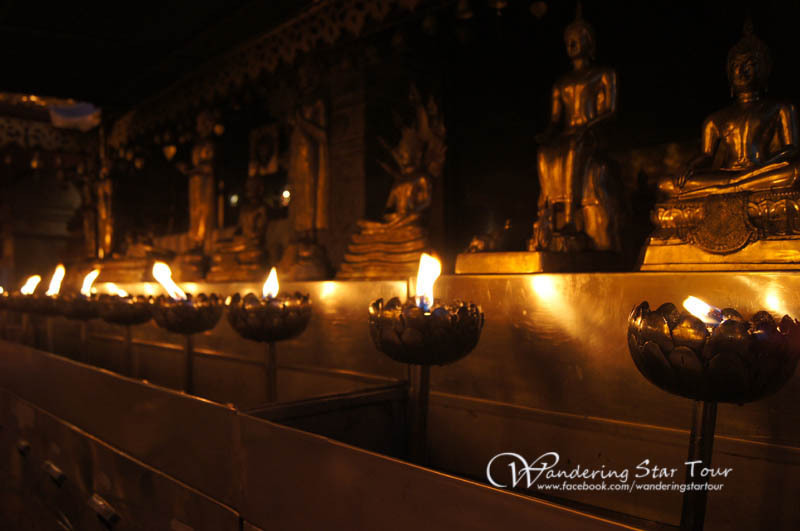 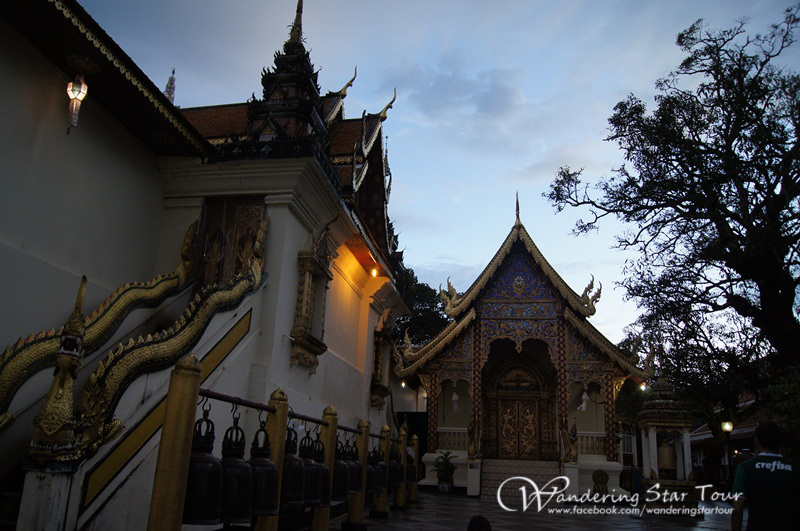 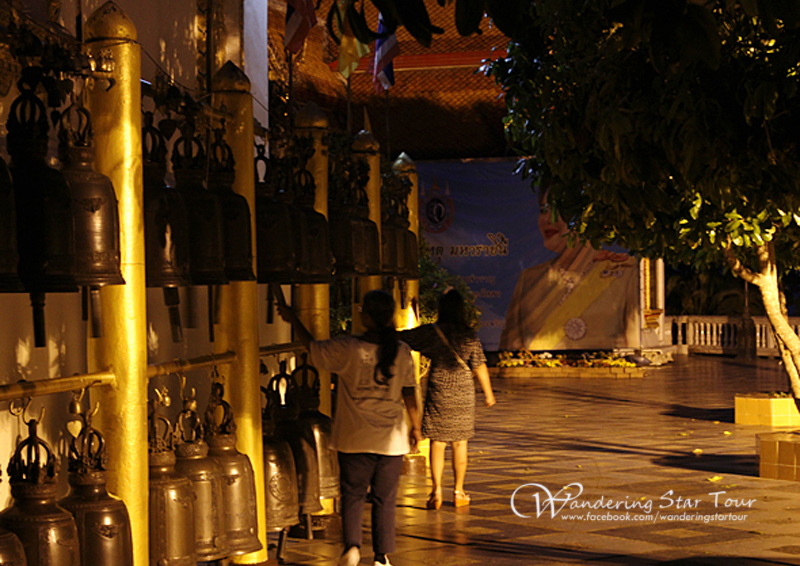 Wat Phra That Doi Suthep Temple Tour in the evening is featured on one of the most sacred temple in Chiang Mai and surrounding attractions ” Wat Phra That Doi Suthep” is a Theravada Buddhist temple in Chiang Mai Province, Thailand. 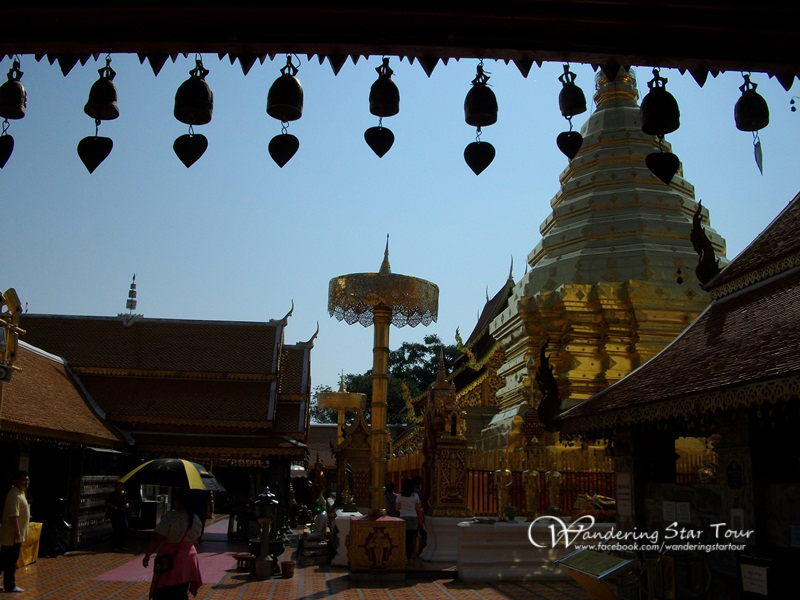 The temple is often referred to as “Doi Suthep” although this is actually the name of the mountain it is located on. 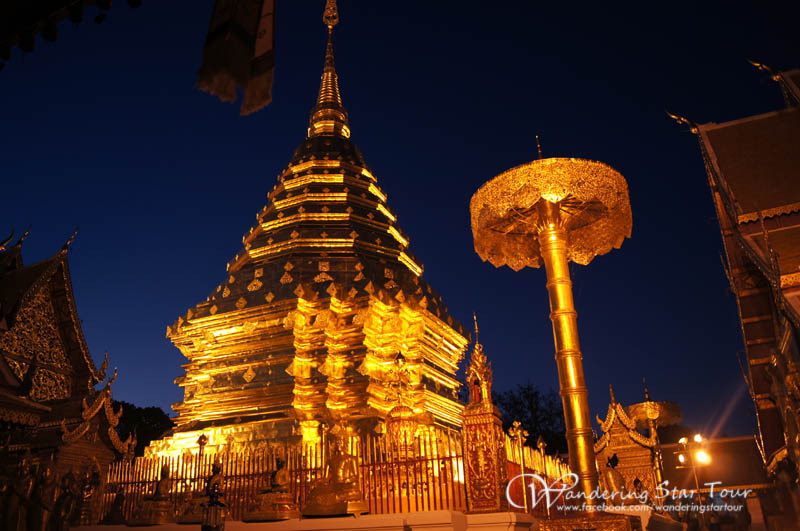 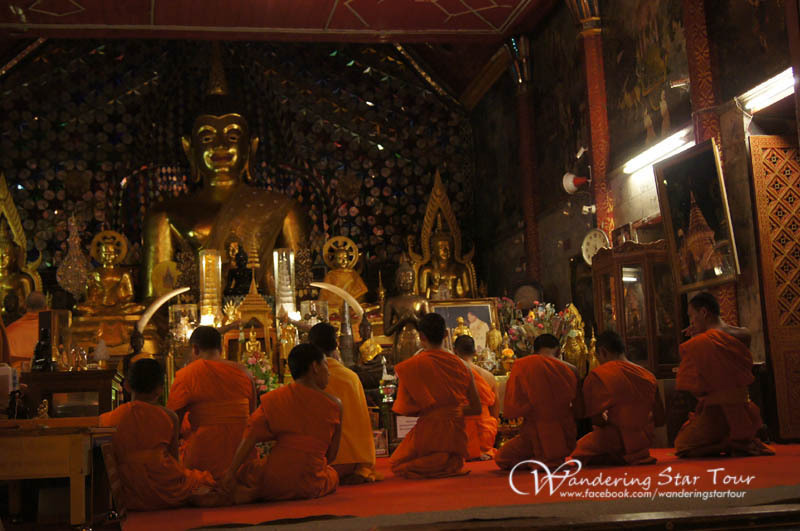 The temple is located 15 kilometres (9.3 mi) from the city of Chiang Mai and is a sacred site to many Thai people. 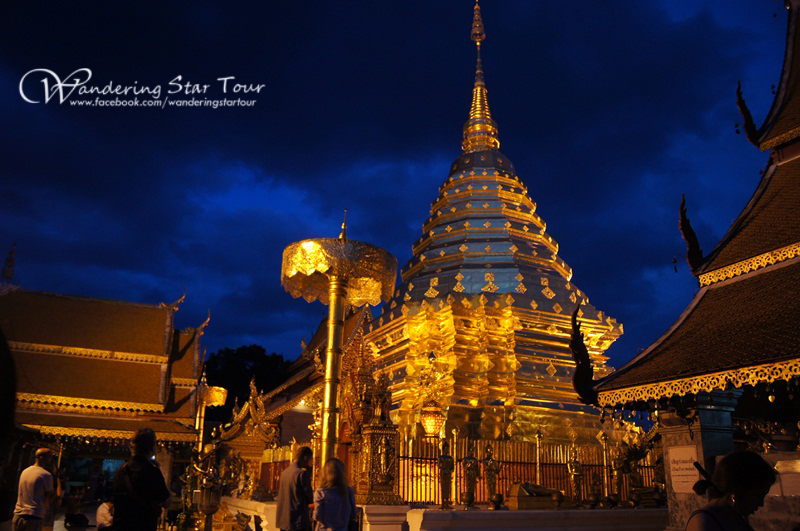 From the temple, impressive views of Chiang Mai can be seen and it remains a popular destination for tourists. 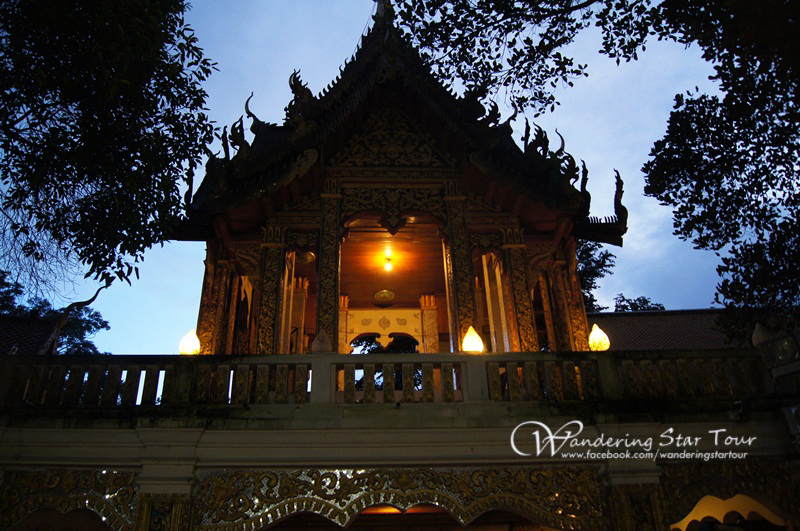 • Pick up from your hotel in Chiang Mai at 16.30 pm. 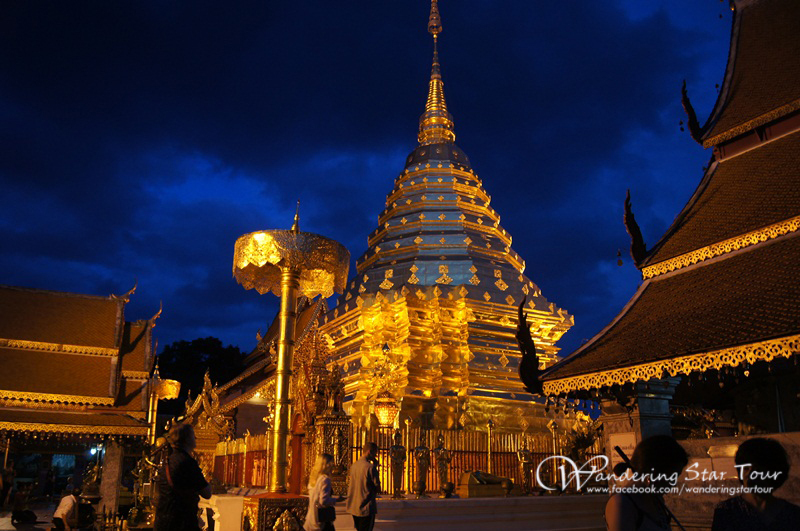 • Visit Doi Suthep Temple, the most important temple in Chiang Mai. 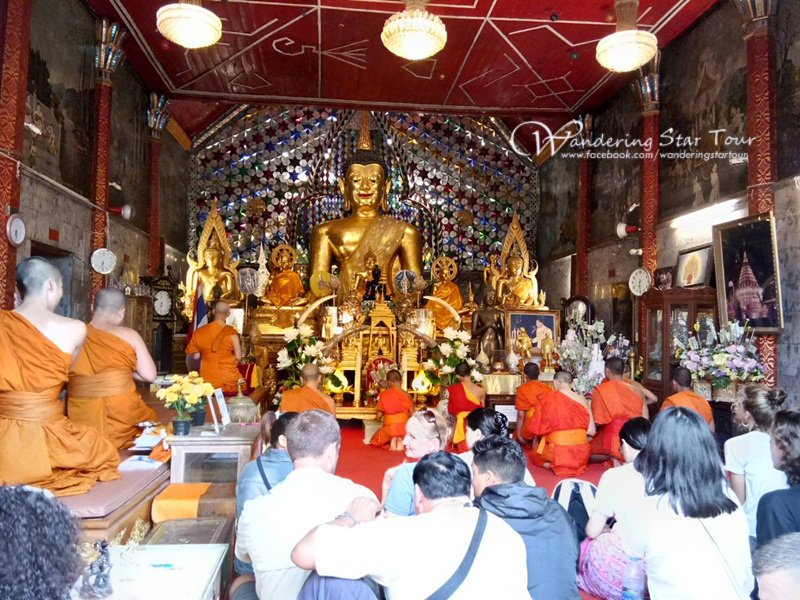 Exercising time by walking up 306 steps to the temples or taking the funicular to the temple with the attitude at 1,100 m above the sea level. 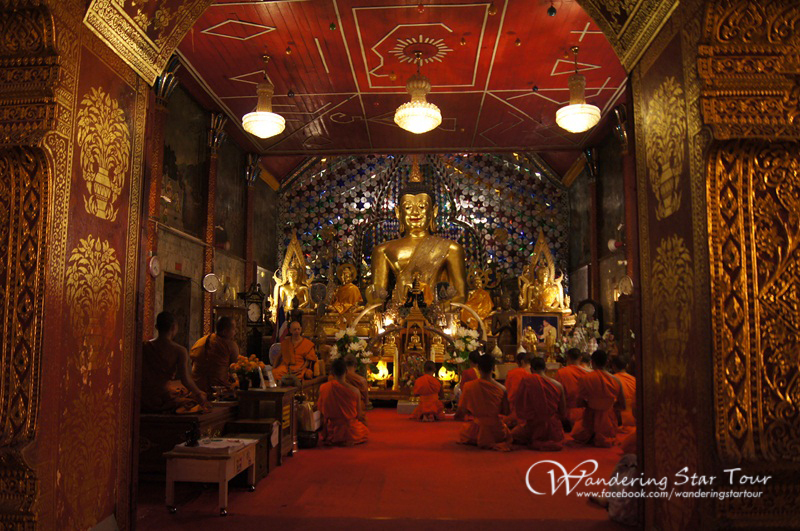 See the Northern Thai dented corner golden pagoda which contain the relic of the Lord Buddha. 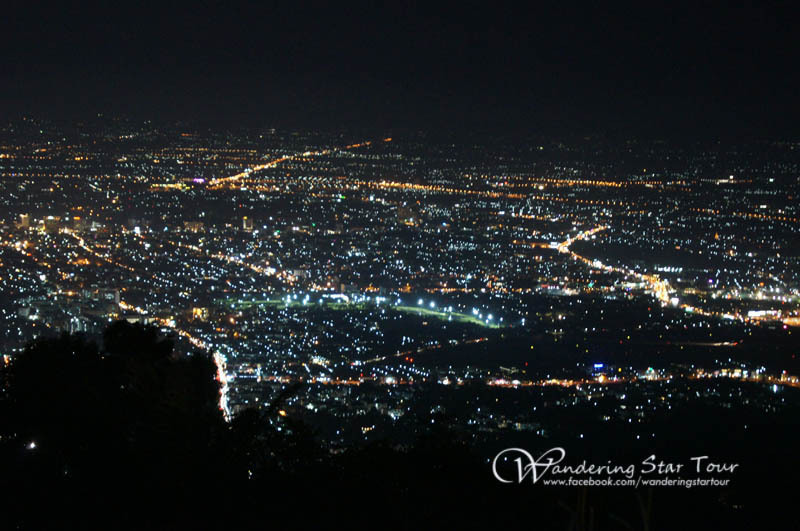 • Return to Chiang Mai about 19.30-20.00 pm. 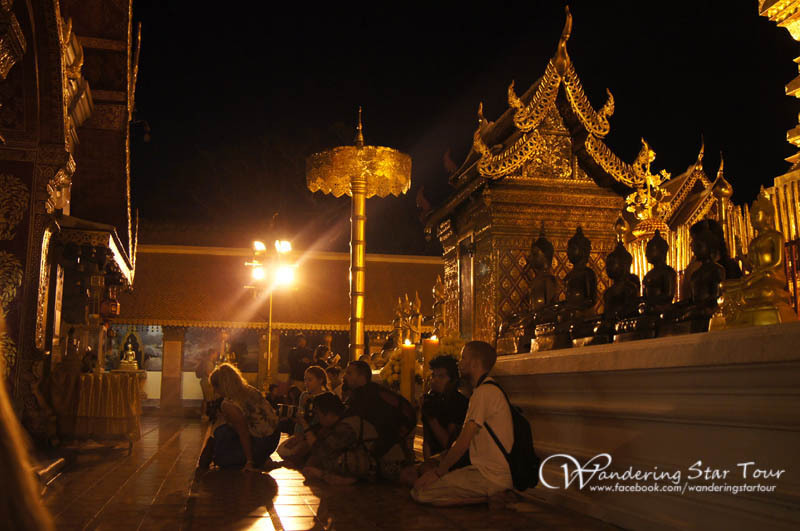 Clothing: Polite clothes such as trousers or a long skirt should be worn for the visit to Doi Suthep temple.